Deputy Director of Southern China Institute of Stem Cell Biology and Regenerative Medicine. 1992-1995, Ph.D., Northeast Agricultural University, China. 1995-1997, Postdoctoral Fellow, Molecular Biology Laboratory, Changchun University of Agriculture and Animal Sciences, Changchun, P. R. China. 1998-2002, Postdoctoral Fellow, Animal Science Research Center, University of Missouri-Columbia. USA. 2002- 2004, Research Assistant Professor, Animal Science Research Center, University of Missouri-Columbia, USA. 2004 –2006, Research Assistant Professor, National Swine Resource and Research Center, University of Missouri-Columbia, USA. Dr. Lai’s lab is focusing on transgenic animals, animal cloning human and animal stem cells,. In 2002, Dr. Lai and his team made the first knock-out pigs in the world by using nuclear transfer approach, in which α -1,3-Galactosyltransferase gene was deleted ,and considered as a major breakthrough in the organ transplantation from pigs to human. As of now, his team has produced more than 20 kind of transgenic pigs with important applications in biomedicine and agriculture. He has published more than 70 peer review papers in the international journals including “Science”, “PNAS”, “Nature Biotechnology” and “Human Molecular Genetics”. In addition, as principal investigator, he has been undertaking many national major scientific research programs, such as 973 program (National Program on Key Basic Research Projects), 863 Program (National High-tech R&D Program of China), National Nature Science Foundation of China, etc. 1. Wu X, Ouyang H, Duan B, Pang D, Zhang L, Yuan T, Xue L, Ni D, Cheng L, Dong S, Wei Z, Li L, Yu M, Sun QY, Chen DY, Lai *L, Dai Y*, Li GP*. Production of cloned transgenic cow expressing omega-3 fatty acids Transgenic Res. 2011 Sep 15. [Epub ahead of print]. 2. Wei J, Ouyang H, Wang Y, Pang D, Cong NX, Wang T, Leng B, Li D, Li X, Wu R, Ding Y, Gao F, Deng Y, Liu B, Li Z, Lai L, Feng H, Liu G, Deng X. Characterization of A Hypertriglyceridemic Transgenic Miniature swine Model expressing Human Apolipoprotein CIII. FEBS J. 2011 Oct 24. doi: 10.1111/j.1742-4658.2011.08401.x. [Epub ahead of print]. 3. Tian J, Song J, Li H, Yang D, Li X, Ouyang H, Lai L*.Effect of Donor Cell Type on Nuclear Remodelling in Rabbit Somatic Cell Nuclear Transfer Embryos. Reprod Domest Anim. 2011 Oct 29. doi: 10.1111/j.1439-0531.2011.01915.x. [Epub ahead of print]. 4. Huang Y, Tang X, Xie W, Zhou Y, Li D, Yao C, Zhou Y, Zhu J, Lai L, Ouyang H, Pang D. Histone Deacetylase Inhibitor Significantly Improved the Cloning Efficiency of Porcine Somatic Cell Nuclear Transfer Embryos.Cell Reprogram. 2011 Oct 26. [Epub ahead of print]. 5. Huang Y, Tang X, Xie W, Zhou Y, Li D, Zhou Y, Zhu J, Yuan T, Lai L, Pang D, Ouyang H.Vitamin C enhances in vitro and in vivo development of porcine somatic cell nuclear transfer embryos. Biochem Biophys Res Commun. 2011 Jul 29;411(2):397-401. Epub 2011 Jul 2. 8. Yang D., Yang H., Li W., Zhao B., Ouyang Z., Liu Z., Zhao Y., Fan N., Song J., Tian J,. Li F., Zhang J., Chang L., Pei D., Chen Y.E. *, Lai L*. Generation of PPARγ mono-allelic knockout pigs via zinc-finger nucleases and nuclear transfer cloning. Cell Res. 2011 Jun;21(6):979-82. Epub 2011 Apr 19. 9. Huang L, Fan N, Cai J, Yang D, Zhao B, Ouyang Z, Gu W*, Lai *L. Establishment of a Porcine Oct-4 Promoter-Driven EGFP Reporter System for Monitoring Pluripotency of Porcine Stem Cells Cell Reprogram. 2011 Apr;13(2):93-8. Epub 2011 Jan 23. 10. Park J, Lai L, Samuel M, Wax D, Bruno RS, French R, Prather RS, Yang X, Tian XC. Altered Gene Expression Profiles in the Brain, Kidney, and Lung of One-Month-Old Cloned Pigs. Cell Reprogram. 2011 Mar 31. [Epub ahead of print]. 11. Liao B, Bao X, Liu L, Feng S, Zovoilis A, Liu W, Xue Y, Cai J, Guo X, Qin B, Zhang R, Wu J, Lai L, Teng M, Niu L, Zhang B, Esteban MA, Pei D.MicroRNA cluster 302-367 enhances somatic cell reprogramming by accelerating a mesenchymal-to-epithelial transition.J Biol Chem. 2011 May 13;286(19):17359-64. 12. Liao B, Bao X, Liu L, Feng S, Zovoilis A, Liu W, Xue Y, Cai J, Guo X, Qin B, Zhang R, Wu J, Lai L, Teng M, Niu L, Zhang B, Esteban MA, Pei D. J Biol Chem. Microrna cluster 302-367 enhances somatic cell reprogramming by accelerating a mesenchymal-to-epithelial transition 2011 Mar 29. [Epub ahead of print]. 13. Chen J, Liu J, Han Q, Qin D, Xu J, Chen Y, Yang J, Song H, Yang D, Peng M, He W, Li R, Wang H, Gan Y, Ding K, Zeng L, Lai L, Esteban MA, Pei D. Towards an optimized culture medium for the generation of mouse induced pluripotent stem cells. J Biol Chem. 2010 Oct 1;285(40):31066-72. Epub 2010 Jul 1. 15. 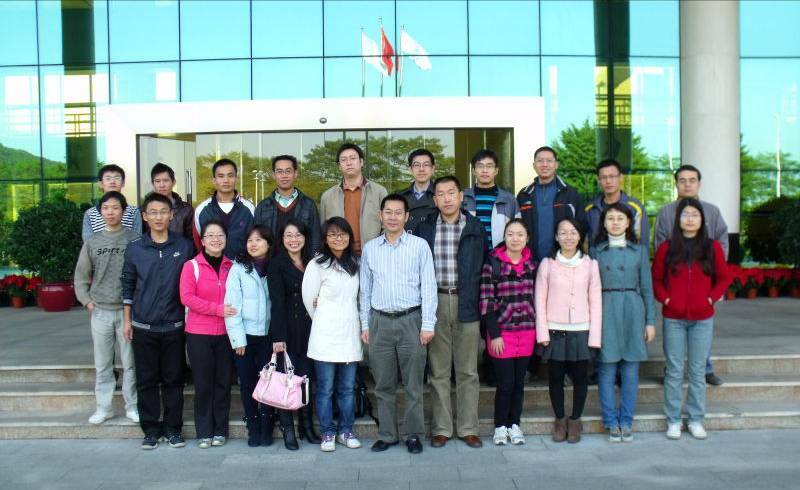 Yang J, Cai J, Zhang Y, Wang X, Li W, Xu J, Li F, Guo X, Deng K, Zhong M, Chen Y, Lai L, Pei D, Esteban MA. Induced pluripotent stem cells can be used to model the genomic imprinting disorder Prader-Willi syndrome J Biol Chem. 2010 Dec 17;285(51):40303-11. Epub 2010 Oct 18. 20. Li L, Pang D, Wang T, Li Z, Chen L, Zhang M, Song N, Nie D, Chen Z, Lai L, Ouyang H.Biochem Biophys Res Commun. Production of a reporter transgenic pig for monitoring Cre recombinase activity. 2009.382:232-235. 21. Esteban M.A., Peng M., Deli Z., Cai J., Yang J., Xu J., Lai .L, Pei D. IUBMB Life. Porcine induced pluripotent stem cells may bridge the gap between mouse and human iPS. IUBMB Life. 2010, 62:277-282.